Ilona Regulski is Curator of Egyptian Written Culture at the British Museum. This includes looking after one of the most iconic objects in the world! Here, she shares what she has learnt since becoming the latest custodian of the Rosetta Stone. 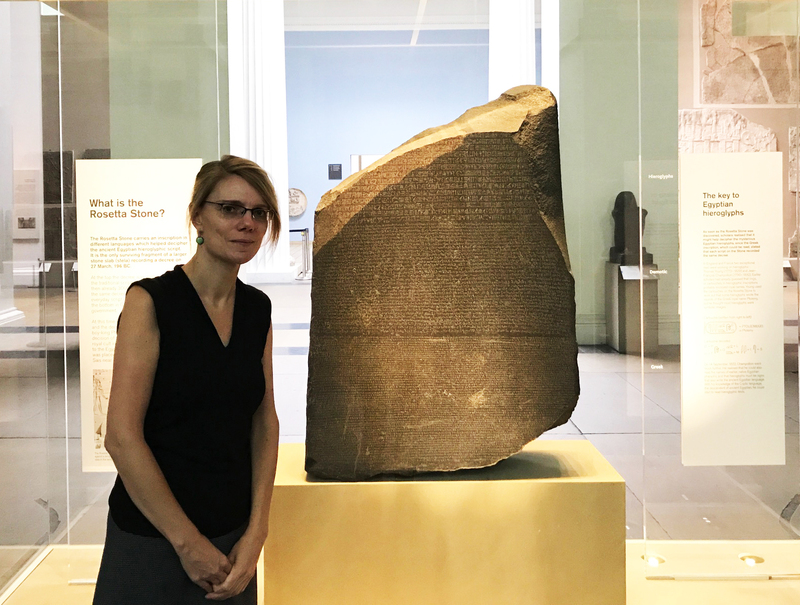 Curator Ilona Regulski with the Rosetta Stone. For any student of Egyptology, the Rosetta Stone has to be the most extraordinary icon in your chosen field. By the time you are a trained Egyptologist – usually four years later – you are probably skilled enough to read the Egyptian inscriptions on it. The sheer excitement of reading a text for the first time is what drives every philologist and if you are lucky, you will now start to decipher texts yourself. Let’s be honest, every language specialist wants to be a Champollion, deciphering a previously untranslated ancient text! 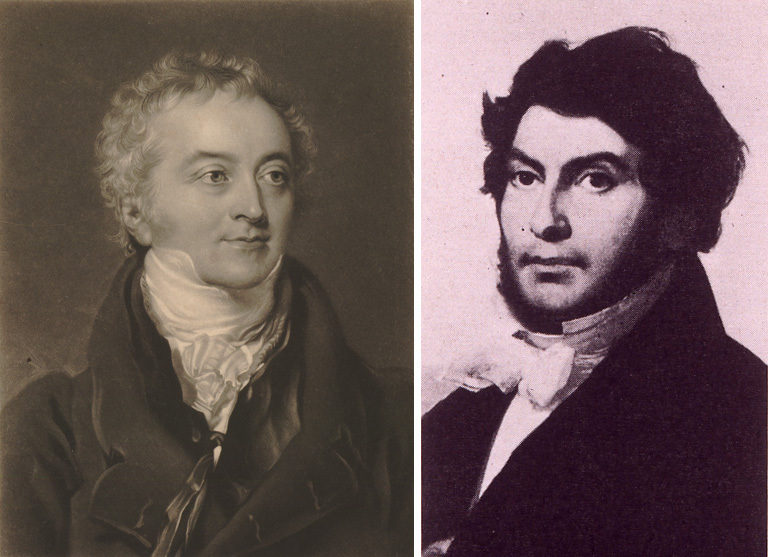 Hieroglyph hunters: Thomas Young and Jean-François Champollion. When I joined the British Museum as Curator of Egyptian Written Culture, the Rosetta Stone came under my care. I didn’t think this would be a challenging task. After all, we have already discovered everything there is to know about the Rosetta Stone, right? Well, no, not really! Let me share with you a few facts I have learnt since I ‘inherited’ the Rosetta Stone from my predecessor. The Rosetta Stone. Today, a unique object in Egyptology, but originally one of many identical stelae that were mass produced. According to the inscription on the Stone, an identical copy of the declaration was to be placed in every sizeable temple across Egypt. Whether this happened is unknown, but copies of the same bilingual, three-script decree have now been found and can be seen in other museums. 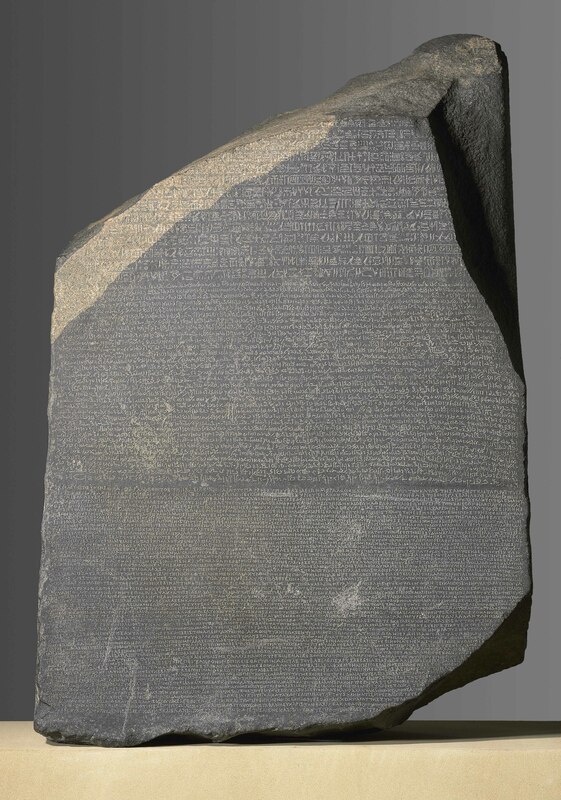 The Rosetta Stone is thus one of many mass-produced stelae designed to widely disseminate an agreement issued by a council of priests in 196 BC. In fact, the text on the Stone is a copy of a prototype that was composed about a century earlier in the 3rd century BC. Only the date and the names were changed! Decrees of this kind were essentially honorary Greek texts in composition, terminology, and ideology. The active priestly involvement in state affairs and the near exclusion of the Ptolemaic rulers from important religious decisions conveyed in the text is not very ‘Egyptian’ – in ancient Egypt, such decrees would have been issued by the pharaoh. By the time of the Rosetta Stone inscription, Egyptian priests were capable of composing Egyptian as well as Greek official texts, as they now belonged to the ruling class of the Ptolemaic administration. 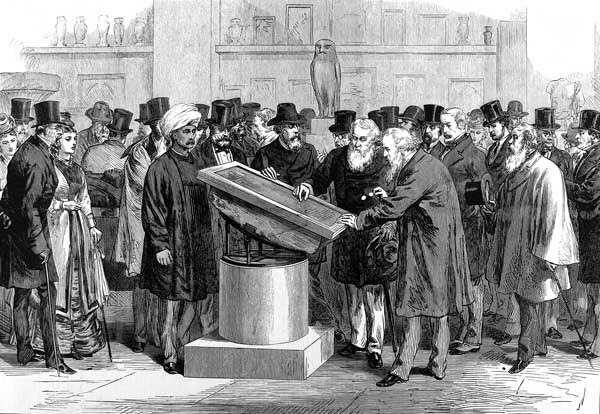 Experts inspecting the Rosetta Stone during the International Congress of Orientalists of 1874. Published in Illustrated London News. Priests made an effort to make the hieroglyphic text look old! At the time the Rosetta Stone text was inscribed, the use of hieroglyphs was disappearing. As the Stone tells us, hieroglyphs were ‘sacred writing’ or ‘the writing of the words of the gods’. Distinguishing this script from the day-to-day script and language of Egypt (Demotic and Ancient Greek) was a way for the priests to display their knowledge and, therefore, their special status. 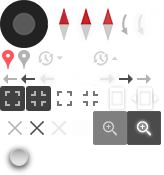 When translating the text into hieroglyphs, they tried to make them ‘look old’ in comparison with Demotic. Rather than using the ancient equivalent for a Demotic word, they searched for synonyms. For example, instead of translating the Greek ψήφισμα ‘decree’ with the commonly used wD, they chose to use sxAw ‘memorandum’ because wD is too close to wt in Demotic. Can’t get enough of the Rosetta Stone? This blog covers the essential facts you need to know about this iconic Egyptian object.